If you are looking to embark on an exciting new business venture, our Academy Level 2 Diploma in Nail Technology is designed to equip you with the knowledge, practical skills and industry-required training to be able do this with confidence. It is the ideal training package for anyone who wants to get up and running as a Nail Technician working on a freelance basis from home or mobile, with the backing of fully accredited training. 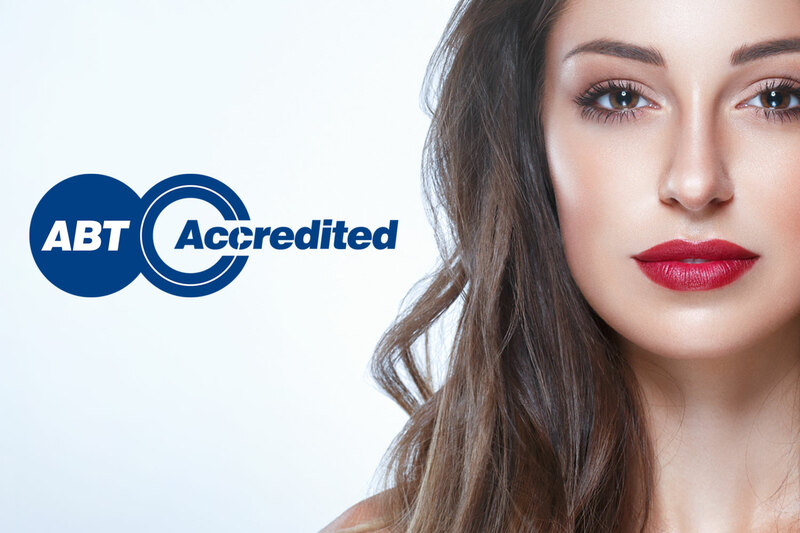 All courses offered by The Beauty Academy are accredited by Associated Beauty Therapists (ABT) allowing you to gain insurance & start earning upon completion of your training. As part of the Academy Level 2 in Nail Technology you will attend 4 training days to learn the essential skills of delivering your treatments. Beyond this you have full access to our comprehensive online learning resources including training tutorial videos and course manuals. You will consolidate your knowledge and understanding through completion of online theory tests (which you complete at your own pace, online from home) and submit treatments completed on friends / family for individual feedback. Upon completion you will be awarded with our Level 2 Diploma recognising your achievement. The course is a great way of getting into the beauty industry and achieving an insurable qualification to begin earning. Upon completion you have the option to upgrade to an Internationally recognised VTCT qualification, if desired; which would allow you enter employment within beauty & to work Worldwide. If you are looking to embark on an exciting new business venture, our Academy Level 2 Diploma in Nail Technology is designed to equip you with the knowledge, practical skills and industry-required training to be able do this with confidence. It is the ideal training package for anyone who wants to get up and running as a Nail Technician working from home or mobile, with backing of one of the UK’s leading industry insurance and membership bodies behind them (Associated Beauty Therapists). The package includes the most in-demand treatments for freelance nail technicians. To achieve The Beauty Academy Level 2 Diploma to begin earning from home or mobile, you simply attend your four days of training and then can gain insurance – an advantage for those who want to complete their training within the shortest time possible to begin earning. You then complete online multiple choice theory tests to help consolidate your understanding (all at your own pace, from home) and evidence of a small number of case studies and once completed, you will receive the Academy Level 2 Diploma in Nail Technology issued by The Beauty Academy recognising your learning and achievement. The Academy Level 2 in Nail Technology Training Package is ideal to gain the industry-required standard of knowledge to work freelance within this lucrative industry. This particular course will enable you to provide many nail-related treatments and work as a professional nail technician, self-employed either from home or mobile. You will learn a wide range of practical skills, including deeply relaxing manicures and pedicures, luxury treatments, acrylic and UV Gel nail extensions plus the ever popular gel polish treatments. Whilst you are perfecting your practical skills during the four days of training, you will also be consolidating your theoretical knowledge with our comprehensive study materials which we recommend you to read through at home alongside your studies. To achieve The Beauty Academy diploma to begin earning from home or mobile, you simply attend your four days of training and then can gain insurance – an advantage for those who want to complete their training within the shortest time possible to begin earning. You then complete short theory tests (multiple choice) at your own pace online and evidence of a small number of case studies. Once completed, you will receive the Academy Level 2 Diploma in Nail Technology from The Beauty Academy recognising your learning and achievement. The training package is a great option for anyone looking to get into the industry on a freelance basis quickly with the additional learning opportunities offered by access to our online portal with videos, manuals, a chance to test your knowledge and individual feedback on case studies. For anyone wanting to take their training further, you have the option upon completion of your Academy Level 2 to upgrade at a discounted rate to the Internationally recognised VTCT qualification allowing you to then enter employment within nail services or work worldwide. Our diploma courses are suitable for complete beginners and do not require any prior learning to be able to train with us; many of our students have no previous background in nails or beauty and are looking to start up a business in the industry. We welcome students of all abilities, whether you are looking to learn a new skill from scratch or currently working as a nail technician or beauty therapist; and looking to refresh your knowledge of particular treatments. Students will require a good command of spoken and written English to complete this training package. We do provide comprehensive written study materials to assist you in consolidating your learning before, during and after your training days; and a support team on hand by email or telephone while completing your assignments and case studies towards the Academy Level 2 Diploma. You will require basic products and tools at home, along with friends or family to practice upon in order to complete the required small amount of case studies. When you have successfully completed your training course(s), you will receive certificates for your training days issued by The Beauty Academy and accredited by ABT. This not only demonstrates your commitment to the training, but also allows you to obtain Public Liability insurance so you can start offering treatments to paying clients from home or mobile. Once you have submitted your written theory assignment (multiple choice) and small number of case studies for each treatment subject, you will receive the Academy Level 2 Diploma certificate demonstrating your further achievement. We recommend students to read through the study materials provided before, during and after your training to consolidate your learning and also to begin practising their skills following training to develop further confidence. The Beauty Academy diplomas are issued within 2 days of attending your training days to allow you to gain insurance. 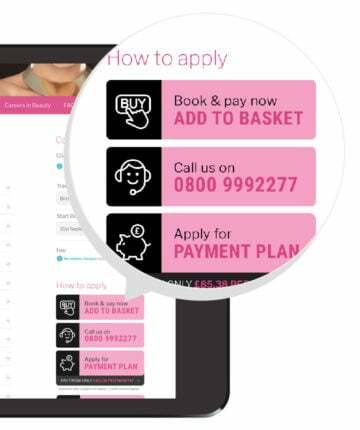 The Academy Level 2 Diploma in Nail Technology is issued within 4 weeks of submitting your completed online multiple choice tests and case studies (for each treatment subject). Comprehensive study materials are provided to you when you book allowing you to begin studying straightaway and our friendly, expert Support Team are on-hand by telephone or email to provide support throughout your studies and beyond. All of our diploma courses enable you to work from both home and mobile offering the specialised treatment(s) that you have completed. You can start earning by offering treatments to paying clients as soon as you have obtained your insurance. This training package includes all the of most popular and commonly requested beauty treatments to enable you to put together an excellent treatment package to begin your beauty business with, all with the backing of recognised industry professional body ABT accredited training certificates! If you are considering gaining employment following training or within the future, you may prefer to consider the VTCT Level 2 Certificate in Nail Technology qualification which is sought by employers including nail bars, salons & spas. This is available at a discounted rate for those who have already completed the Academy Level 2 Diploma in Nail Technology. Call us for more details. We offer high-quality ABT and BABTAC accredited training with experienced tutors, professional equipment and a great atmosphere to train in. Our training centres are well-equipped, within easy reach of public transport and regularly inspected by the awarding body (VTCT) which we provide qualifications through; to ensure we are giving you the best service for your money. We pride ourselves on working with only qualified and industry experienced tutors who are friendly, welcoming and happy to go the extra mile to deliver the very best student experience possible. You may also consider completing a VTCT qualification to further your career opportunities if you decide you may wish to look at gain employment within a salon or spa. To learn more about the VTCT accredited qualifications that we offer, please click here. We also offer a Starting a Business in Beauty Therapy course for our students; a comprehensive, home-study course that would complement any course completed with us, aimed at those looking to launch a business in the industry.